We always pay close attention to our outfit at office, but finding a perfect hairstyle to match the outfit is also utmost important. Office, is a place where we spend most of our day time, besides board meeting and cubicle, a little extra time to skimp your hair would not take more than a five minutes. In office, You need to stay focused all the time and have to be up decked up and ready for challenges.Making a gorgeous bun, is a classic option that can never go wrong, I promise you it’s not that intricate as it looks. Bun hairstyle can be perked up in as many way possible, these 45 gorgeous bun hairstyle for office women, will help you show off your personality and creativity in the best way possible. One more thing, you wouldn’t need any hair stylist as, they’re so easy. Twist your hair up in a topknot, perfect for hair that are neither too long nor too short. The topknot bun as to be neat, you wouldn’t want lose hair coming on your hair at office. If you have really dry hair, I suggest you carrying leave-in serum in your office handbag, it might come handy. Twisted top-knot is always a good option on the bad hair day. Ballet bun are for short length hair, pull your hair at the crown section of your head and turn it into a sleek bun. 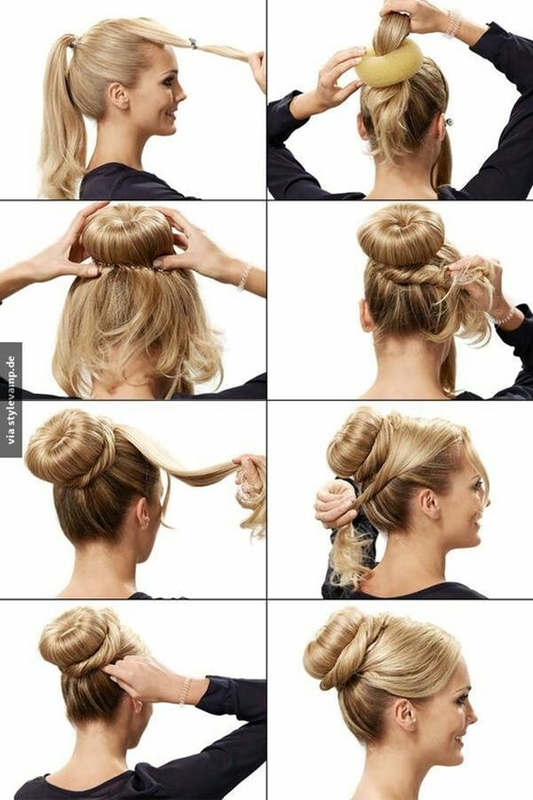 This is the most convenient bun hairstyle for office women. For hot summer days, ballet bun can be a easy and comfortable choice for you. If you’re in rush at the morning, this is the most go-to hairstyle. If you have short length,you should get inspired by these cool hairstyles.Since you are already in a salon, spoil yourself and get these amazing nails. 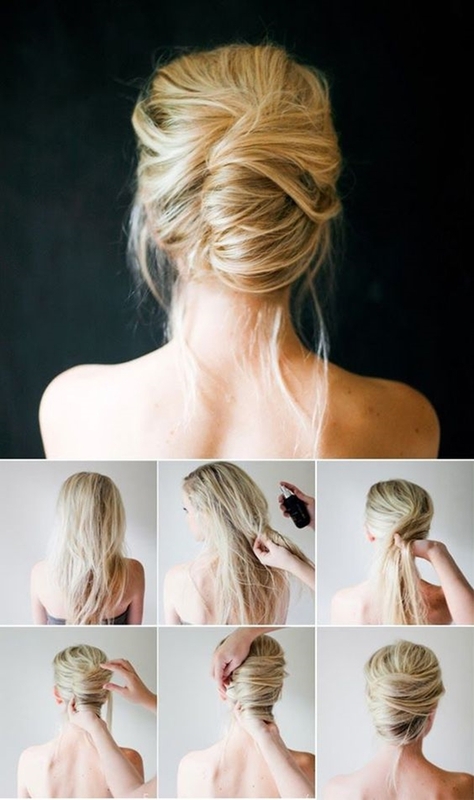 Flat low bun is most appropriate for the thin and straight hair, it can totally change the look of your hair. 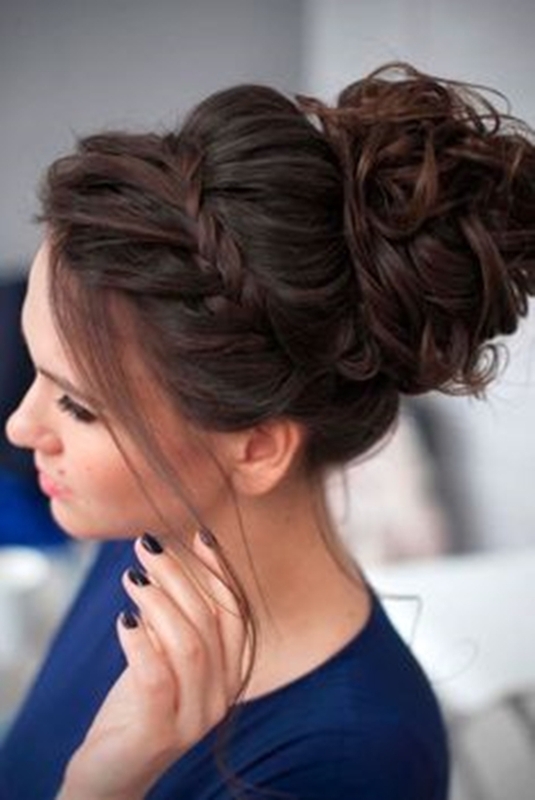 Use bobby pins and hair serum to brush the flyways and flat your bun. 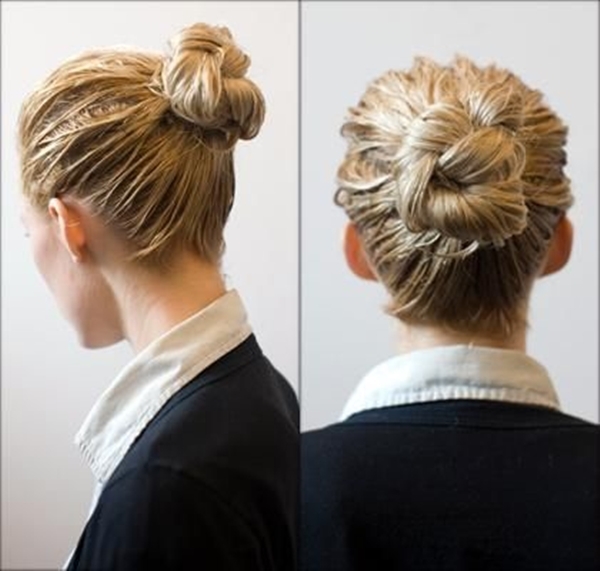 If you’re wearing a blazer and pencil skirt, this bun hairstyle is most appropriate, as it full of femininity. 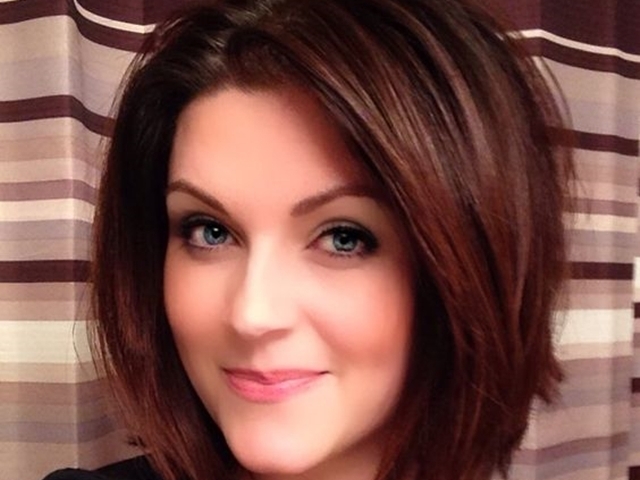 Fix a spray to tame the unruly curls. This hairstyle is also the best bet to look professional yet stylish.Since you are already ready and not late, spoil yourself and get these amazing nails. 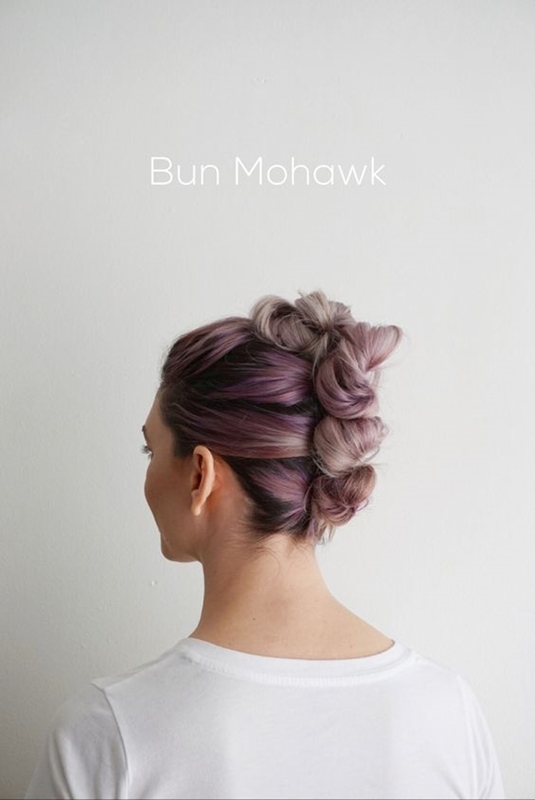 If you have highlights or colour in your hair, angular bun will perfectly flaunt it. In angular bun, you have to smartly fold the hair in a bun, layer by layer. This bun will exactly give a slight puff at the crown area and a decent tangent finish, as layers of hair are folded. When you’re bored of the classic bun, have some major hair points.Check out more of such vintage hairstyle, that used to rock in 80’s and still trends today. Donut bun is for cute and charming twenties age of woman working in office. This is super easy, extremely trending and elegant. 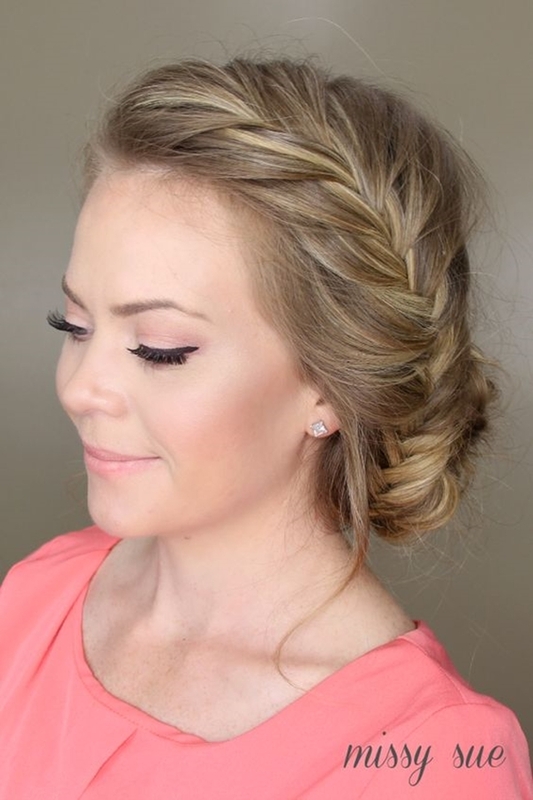 It is so versatile, that it can be paired with braid or half up half down. 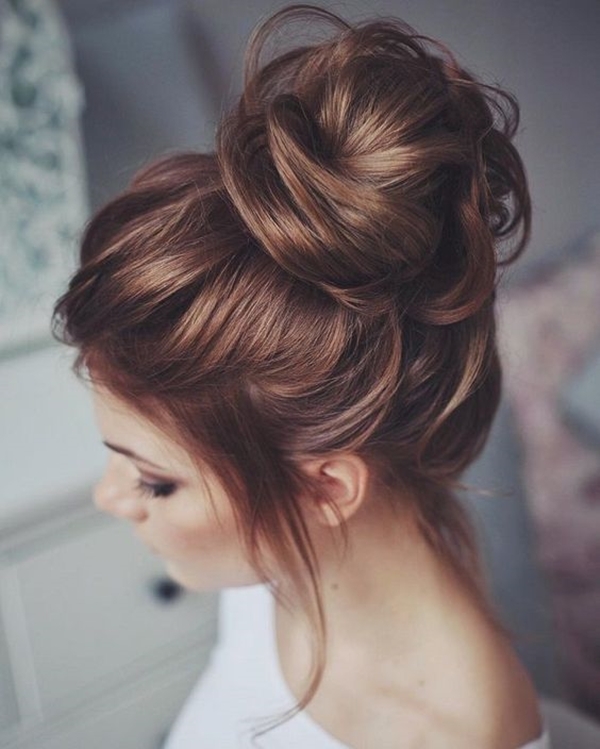 Once you master the technique of making a donut bun, rest is history of why office wear made you the hairstyle icon. 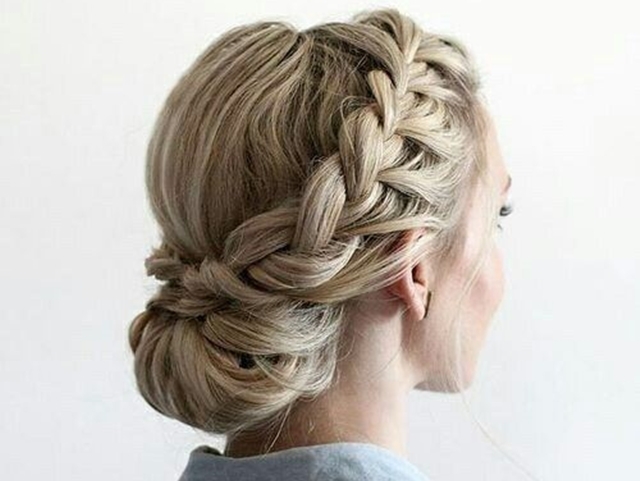 Braids have been known for their casual elegance. I get it, you don’t ages to get ready in the morning. But less than five minutes, you’re ready with your bun for the happy hours at office. 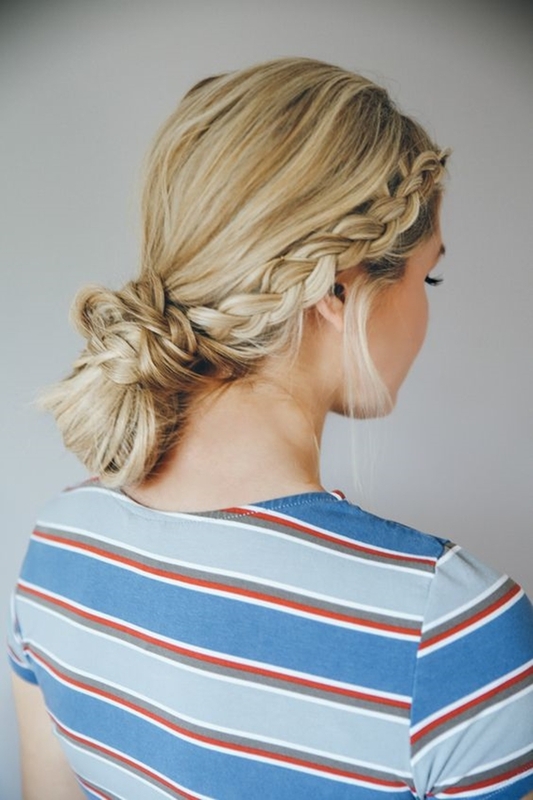 Even if you’re running late and have a messy braid a night before, roll it up in a bun, few bobby pins will do their job right way!You really got very thick hair for braided bun, Then try these hairstyles to flaunt your long locks perfectly. 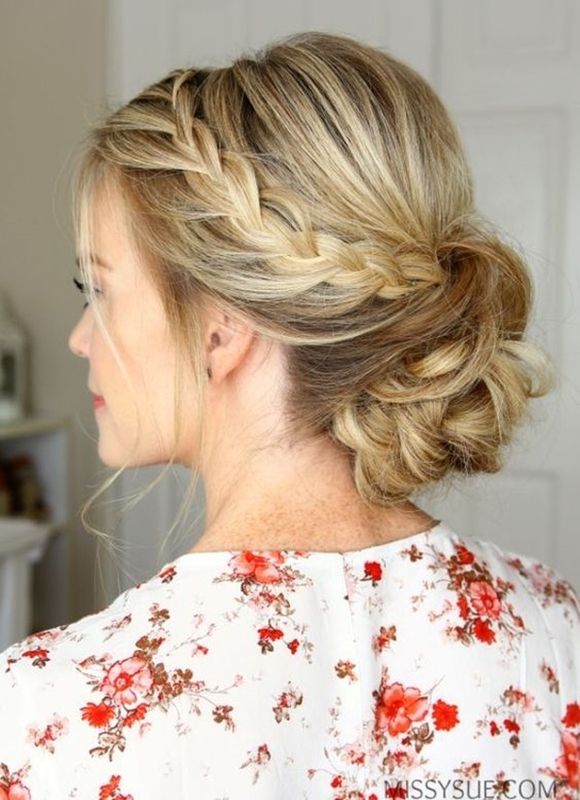 If you have curly or wavy hair, make a messy low bun. Let those fringes fall down from either face for a softer look. But do not let them come on your face, look professional. Office is a formal place, so your hairstyle should also be formal. 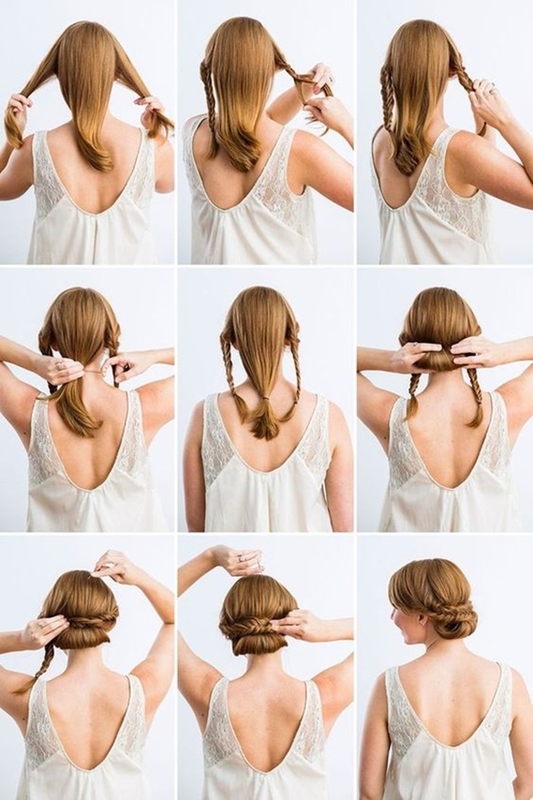 French roll is definitely a hairstyle every working woman should know. It takes no extra time. If you do it right, with the help of this tutorial, you’ll be a pro in no time. 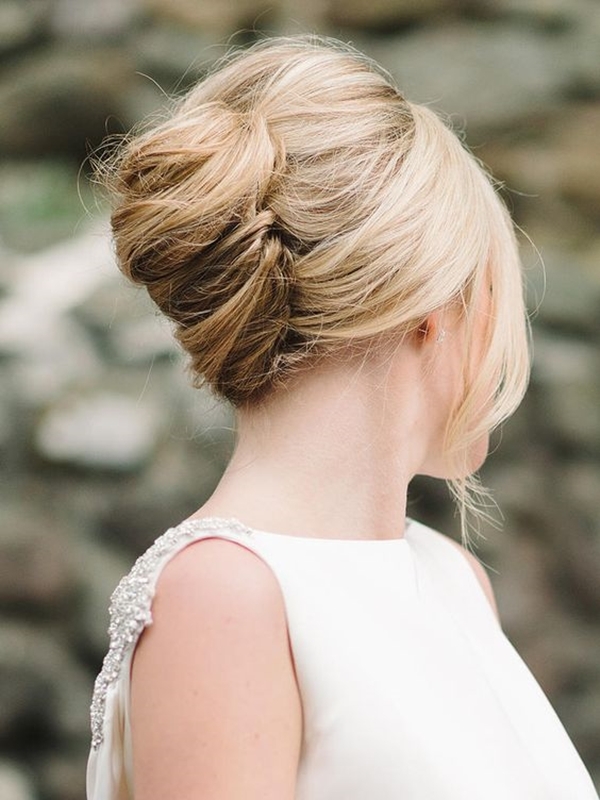 Attain a stylish look, with a classic chignon. It require some patience, on days when you have some extra time in your hand. 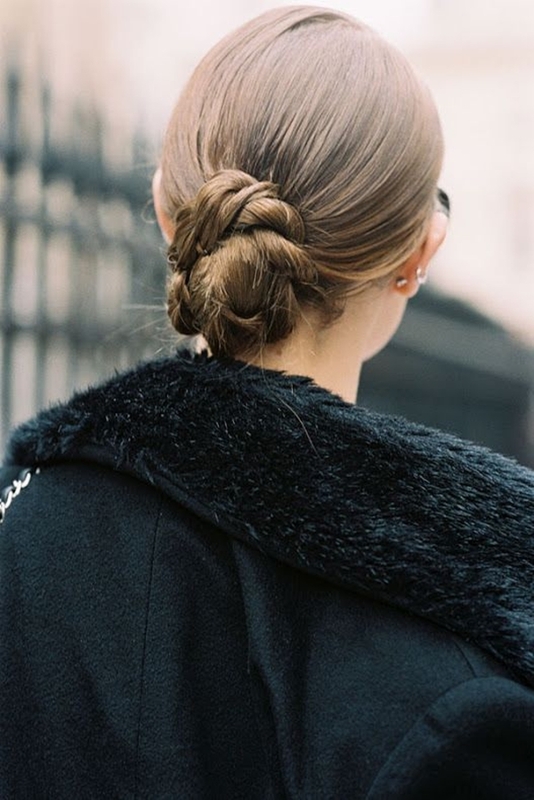 Slow down and make a chignon, by giving your low ponytail a twist. The only care you have to take is it should be neat. Chignon bun will help you stay sweat free all day! Office hours can be long and we don’t want our bun to slip down and rest open. 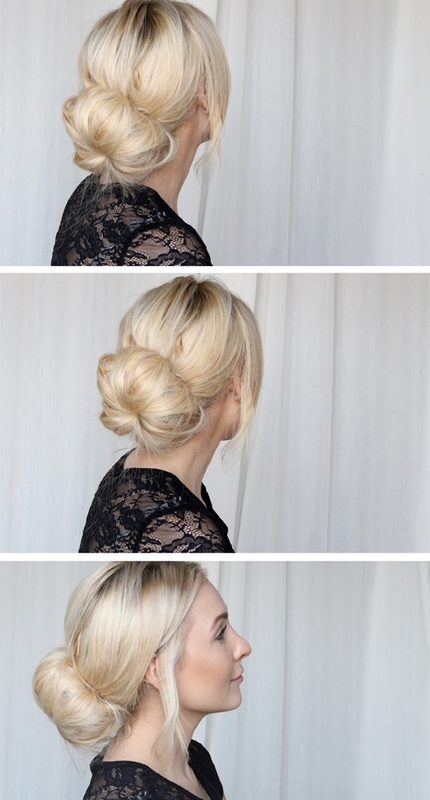 A no slip bun is a simple and tight bun hairstyle that wouldn’t fall even after long hours. 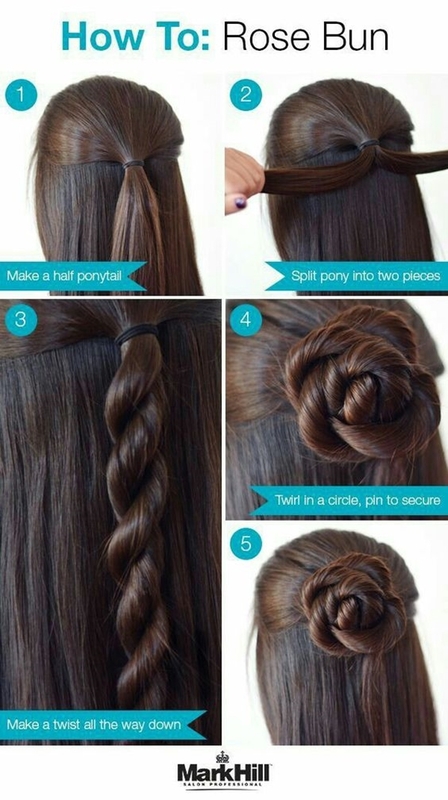 Just make two ponytails twist and round them to make a bun. Does it seems complicated? 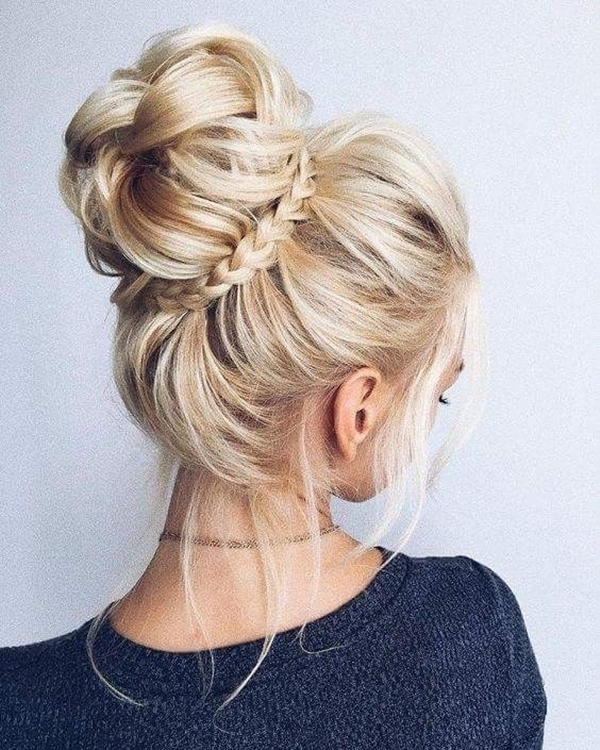 Trust me, it is the easiest of all.Since you have nailed bun hairstyles suitable for the office, you must know these few tips that will help you look stylish in your work as well. 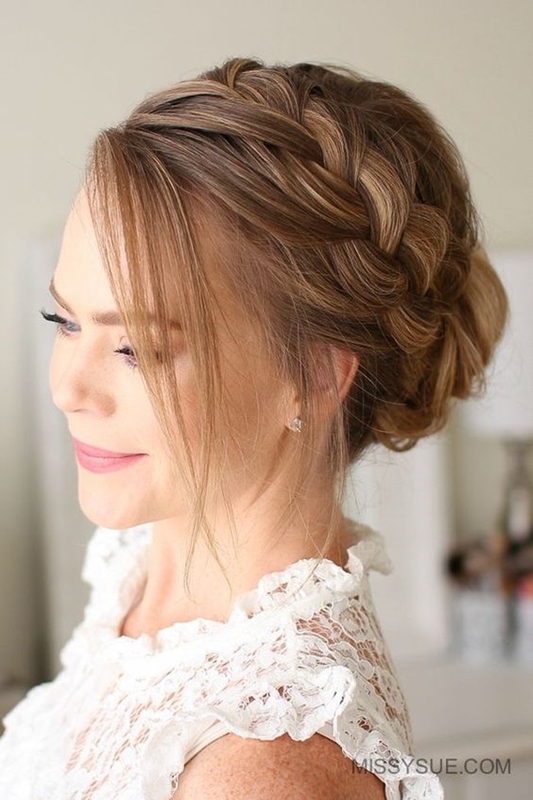 Up your hairstyle game at office with a little bun making skills, some twists and braids, you’re ready with the perfect hairstyle to flaunt.Keep your style game on and noticeboard more attractive at work with these cool office board ideas.